The new Deluxe Gourmet Guru Grill offers all the same features as our large grill, but also includes stainless steel handle, banding, hinge and a new designer stainless steel vent cap. 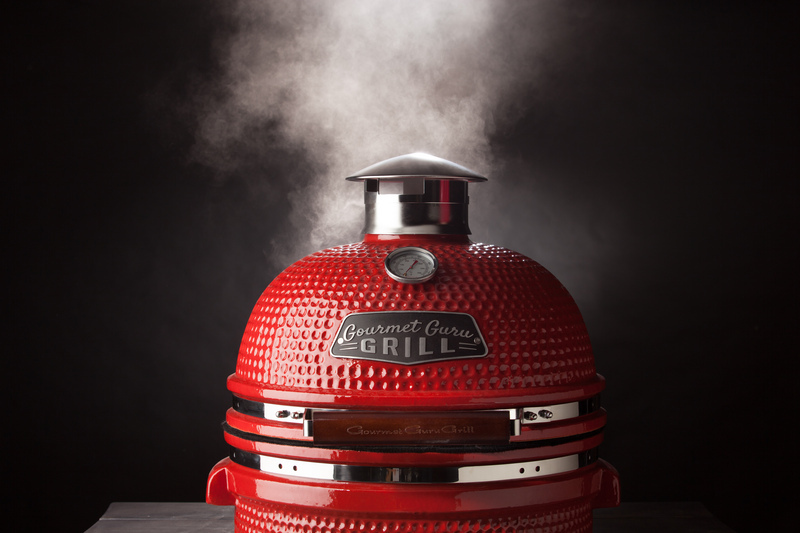 The Gourmet Guru Grill is very easy to use and offers the ultimate grilling experience. 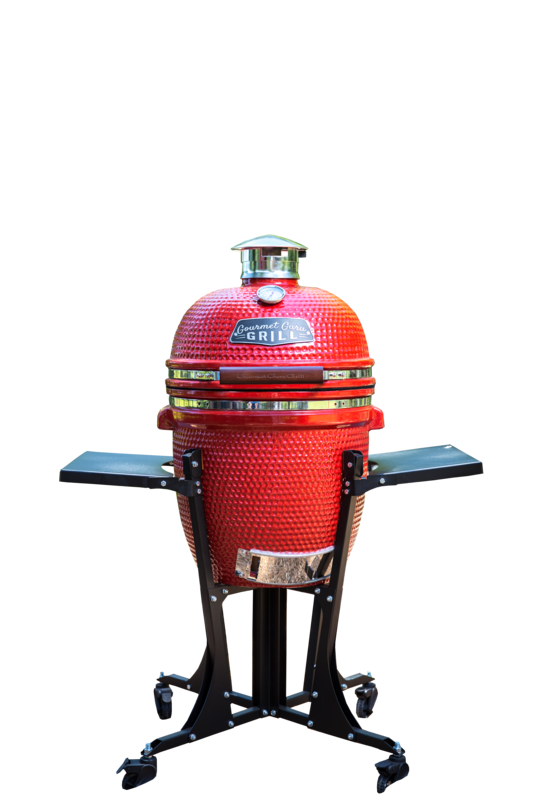 The Gourmet Guru combines a grill, a smoker and brick oven for a varity of applications. The hinged grill mesh makes it easy to add lump charcoal as needed. Included is a lifetime warranty. The side handles make moving the grill a breeze. A quality grilling experience at a great price.